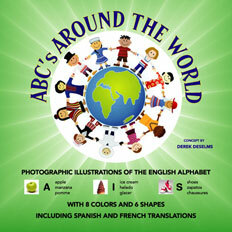 ABC’s Around the World was developed to be used as the foundation for a child becoming multilingual. The interactive wheel enhances the learning experience. Children, especially pre-literate children, both hear the word and “read” the “picture” at the same time.